Cook first 6 ingredients over direct heat until reduced by half. Combine cooked vinegar and shallot mixture with the two egg yolks and 1.5 tablespoons of water and whisk until frothy. Place in double boiler and continue whisking for three minutes. Slowly stream clarified the butter and continue whisking until thickened and well incorporated. Serve immediately. 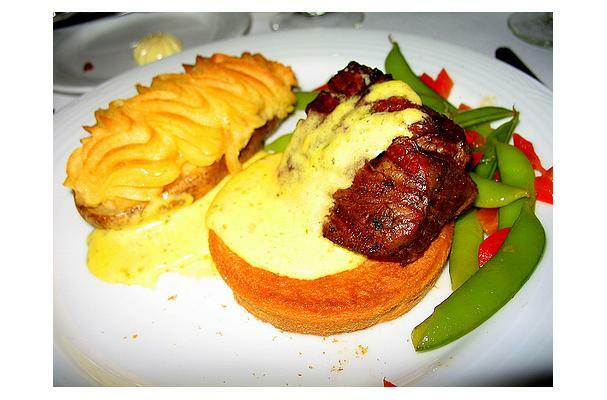 Bernáise sauce, a variation of Hollandaise sauce, is best served with beef, fish, and egg dishes.